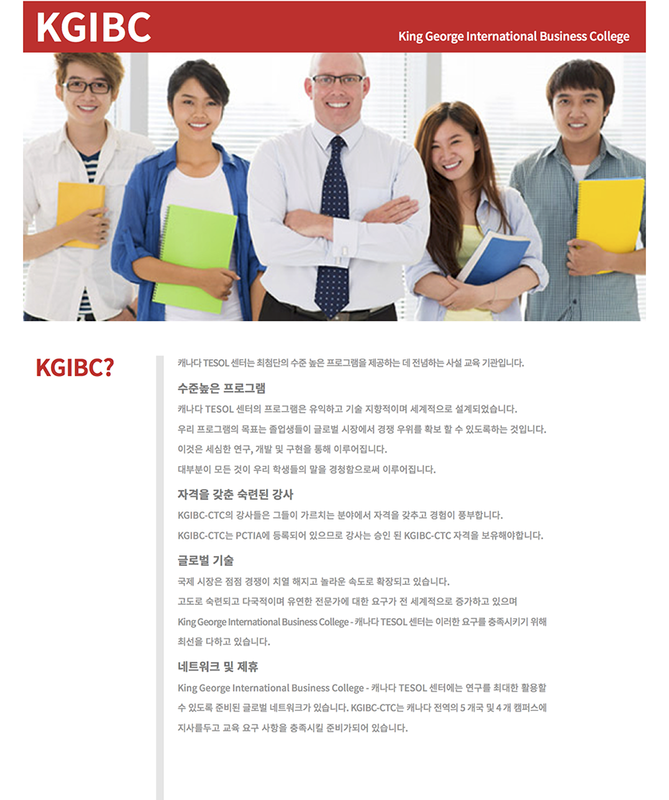 KGIBC-CTC Interpreting and Translation - Korean (IT-K) is designed to provide students with the competitive edge they need to find employment in the international business field. IT-K's in-class simulation interpreting exercises and translation assignments provide students with an immediate opportunity to use and test their skills, ultimately improving students' language skills and field knowledge. Our translation program is taught in English by a team of native Canadian English speakers and qualified Korean bilingual instructors. Bonus components includes a chance to receive a certificate of completion from Korea's International Interpretation Translation Association, one-on-one counselling to discuss individual progress and performance, as well as detailed error correction on all assignments.